You came, you saw, you developed a great tan and even better memories (hopefully). 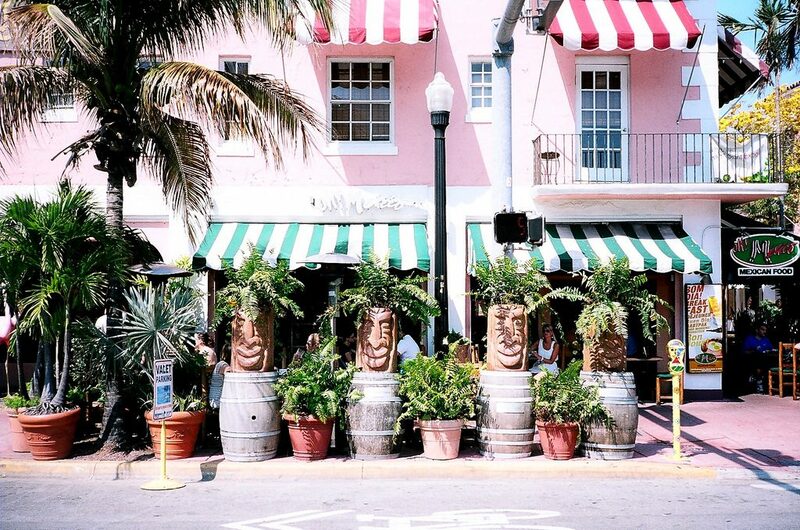 Before you depart, stop in at any of these unique shops for Miami-themed souvenirs that the folks back home will love. The secret to beating post-vacation blues? Take a piece of Miami home with you to make wherever you are magical. Every savvy shopper should have Bayside Marketplace on their Miami itinerary. This open-air mega-mall is home to a myriad of Miami lifestyle-themed shops, including Bonita’s Boutique, Bayside Cigars, and Gifts From The Sea. 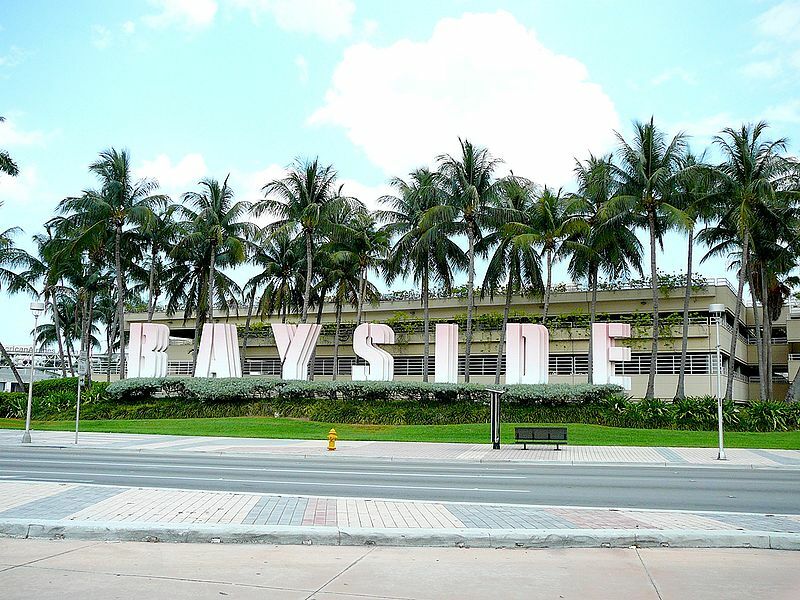 From beach-ready fashion to Cuban smokes, Bayside is your one-stop shop for souvenirs. Along with dominos, café con leche, and some of the tastiest cuisine served in the city, Hispanic immigrants brought the guayabera to Miami. A men’s shirt popular amongst Caribbean Hispanics, the piece is considered a wardrobe staple during Miami’s steamier months. Opened in 1978, family-owned Guayaberas Etc. is the country’s largest guayabera retailer and a popular shopping destination amongst locals. Offering everything from inexpensive polyester to high-end linen versions for men, women, and children, this spot outfits shoppers from all over in the local look. Inviting customers to “celebrate every random Tuesday,” Wynwood Letterpress will make your shopping experience special. Handmade cards emblazoned with the message “Greetings from Wynwood,” vintage-style motel key rings bearing the names of South Florida neighborhoods, and alligator-shaped clips are just a sampling of this paper goods supplier’s offerings. In the city’s Cuban enclave, the Little Havana Visitors Center lures shoppers in with its upbeat Latin music, aromatic Cuban coffee, and Southern hospitality. Allow the friendly staff to guide you through this independent shop’s offerings, which include pop-art prints and domino sets. Adjacent to a Coca-Cola® memorabilia shop and a gallery dedicated to Latin artists, this eclectic spot is a must-visit destination for tourists and locals alike. Need a vacation from your vacation? Tucked away in the Miami Beach area is Española Way, a pedestrian-friendly pocket dotted with European-style cafés, restaurants, and live entertainment. Known for being a gangster hub during Al Capone’s reign, the street’s new claim to fame is its weekend craft market. Featuring original work by Hispanic artists, traditional South American garb, and handmade jewelry, all of the finds at this outdoor fair boast a Latin flair befitting Miami. While visiting Miami, you’ve likely noticed our local bounty of art hung up in galleries, encased in museums, and covering just about every public wall in sight. Surprisingly, much of this work can be attributed to one man: David Le Batard, or as he’s known in the art world, Lebo. Creating the most stylish souvenirs the city has to offer, the South Florida native sells everything from art-printed snapbacks to stained-glass paintings at his Miami Beach store. Endorsed by local giants such as the Miami Heat and Gloria Estefan, Lebo’s work is a perfect fit for Magic City-loving shoppers. Architecture enthusiasts will know South Beach is home to over 800 Art Deco structures, a legacy commemorated and defended by the Official Art Deco Gift Shop. A portion of the shop’s sales goes toward the preservation of the area’s architecture. That means by snagging retro jewelry, vintage home deéor, and original artwork from the shop, you are helping keep Miami magical.